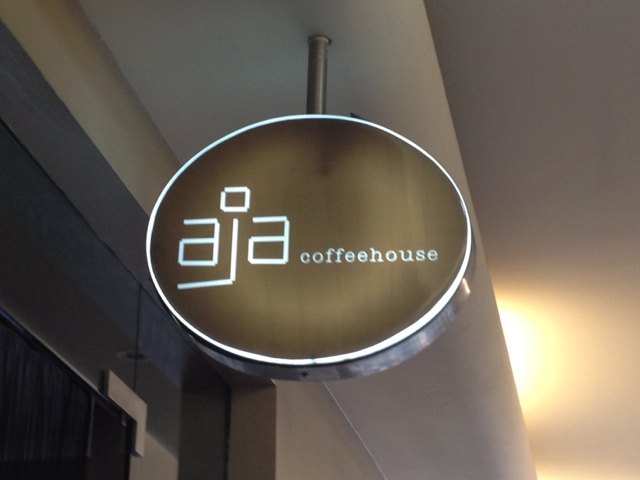 Aja Coffeehouse is located in Elizabeth Arcade facing Charlotte Street. Unlike other busy cafes in the city, this one looks dark and quiet from outside. The first impression changed as I walked in. 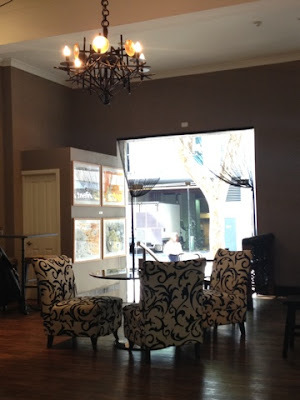 Dimly lit, chandelier and comfy couch, it is certainly classier than any ordinary cafe. 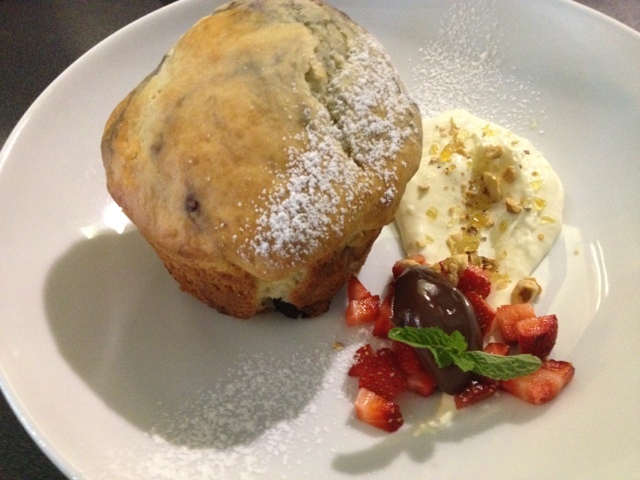 We ordered a regular mocha, banana bread and a mixed berry muffin. 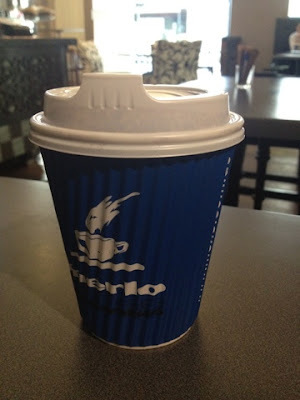 The total cost came to $10, which was very reasonable compared to other cafes around town. I was blown away when the meals were served. 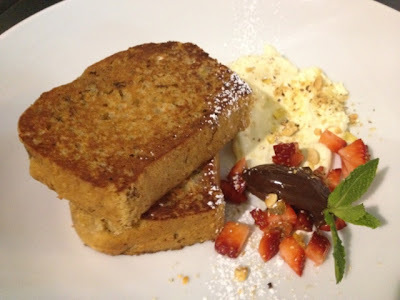 It came on a fancy plate, with a dollop of cream mixed with toffee crunch, chocolate spread and strawberry slices. Not only did it look good, it tasted great too. The crunch in the cream added an extra dimension to the texture. They use merlo beans so those that like Merlo will feel right at home here. I would highly recommend this place to the city folks. Apparently the lunch menu is also fantastic. Classy, tasty and value for money….what more can you ask for?